Permaculture Perak is a former plantation using permaculture farming methods for sustainable agriculture. It is six kilometers from Lenggong village; also 100 km from the city of Ipoh. Farm management is committed to land development through sustainable methods and being in harmony with the local community and the environment. The farm is located at a high mountain level, often secluded by clouds from the valley situated below. The site has two structures, one for accommodations and the other, a former warehouse that is now used for livestock. The farmstay building is equipped with modern amenities: bedrooms, lounge, kitchen and dining area. The other building is currently being renovated to make space for more visitors. Future plans for the farm include management of up to 100 acres. The Perak farm community is working towards better irrigation and soil erosion control, along with replanting efforts to spruce up the property with more trees. Some organically grown products like honey, tea, meat and spices are also planned to be sold to visitors on the farm and through the farm website. 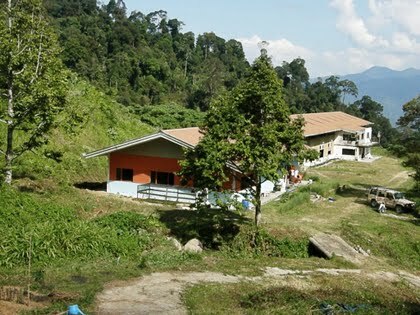 Permaculture Perak offers comfortable accommodations for tourists or guests who would like to have an authentic farm experience. Guests are given tours about “green” farming methods/ technologies as well as interesting sights around the local area. Visitors can participate in hiking trips and exploration activities around the site. Guests can enjoy scenic river walking tours and waterfall expeditions at the famous Lata Kekabu waterfall. The farm is also a haven for wildlife with occasional sightings of colorful butterflies, wild elephants, pigs and gibbons. The farm welcomes volunteers to help out in maintaining the farm. Free lodging is offered. Volunteers are needed for vegetable, spices and tree planting, animal care, building activities and other work. For more information, click here. Philippine Permaculture Association (PPA) is a registered non-government organization (NGO) based in Manila, focusing on spreading permaculture principles to communities and homesteads in the country. The Association envisions environmentally conscious design as an effective way to create sustainable living nationwide. PPA is comprised of members in a big learning community committed to sharing and implementing permaculture skills and knowledge through workshops and field projects. - the first Permaculture conference in the Philippines gathering all permaculture enthusiasts in the country held in Cebu City last February 12-14, 2010. - a Permaculture forum was also run on February 14, 2010, entitled “Are you ready to love Mother Earth again“, with 80 participants, featuring a special guest from Ananda Marga Wellness Center, Dada Dharma. The special lecture was about “Inner Permaculture“, also called “how to maintain the ecology within our body”. This covered permaculture-related health practices. PPA is now looking for teachers, experts and other practitioners to help with workshops and projects. Volunteers, local or international, are also welcome to help with farm sites and other projects.